A Heber City man was arrested Tuesday night after police found 149 pounds of marijuana in his car during a traffic stop. Heber City Police arrested 51-year-old Sean Herwit and booked him into jail Tuesday on suspicion of felony charges according to a statement by the Heber Police. 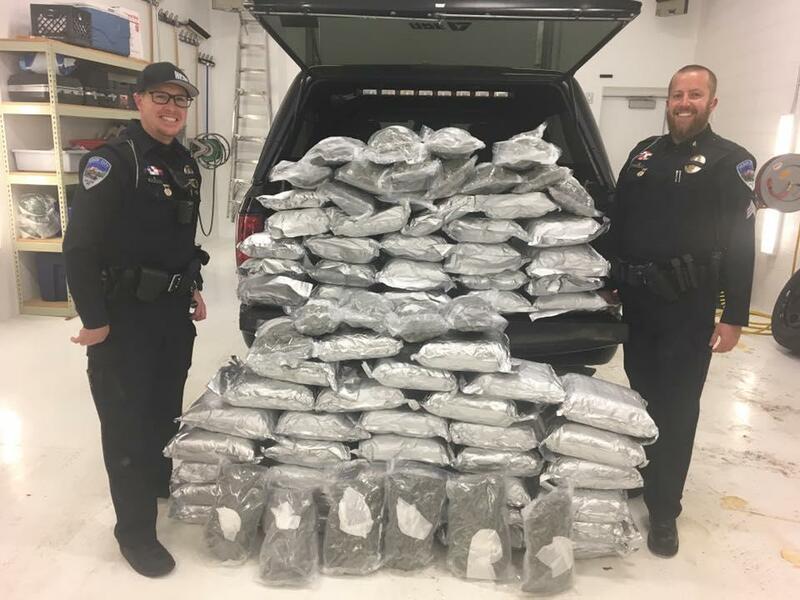 During the routine traffic stop officers obtained a warrant to search Herwit’s car where they found 80 wrapped and sealed packages of marijuana with an estimated street value of close to $500,000 according to police. Supporters appeared in Third District Court on Monday, on behalf of a Basin resident who was charged with dispensing marijuana to teenagers at a party, and later instructing them to conceal the crime from police. The attorney for 46-year-old Adam David Childers asked that he not be given jail time. One of those agreeing was Childers’ nanny, who months ago was the number one witness against him. In response, Judge Patrick Corum did not hand down a jail sentence—for legal reasons that he cited at a similar hearing in October. The U.S. Attorney’s office for Utah has filed an indictment against three Utahns—including two Park City residents—charging that they engaged in a conspiracy to transport hundreds of pounds of marijuana from California to Utah and other locales. Federal authorities say the defendants used the proceeds to finance their business ventures, including a music venue in Salt Lake. The venue, called The Complex, was also used to launder the funds from the drug operation. Heber City Police arrested a man after he stole a car while claiming to be an FBI agent. On Sunday afternoon 30-year-old Luke Menders approached another man at a 7-11 on Main street in Heber and asked for his keys. Heber City Police Detective Tammy Thacker explains Menders claim to the victim. The man refused to give his keys to Menders, resulting in a confrontation.